Contents – Boys, keep on singing! A songbook for boys only? Yes, we certainly need that, and… here it is! 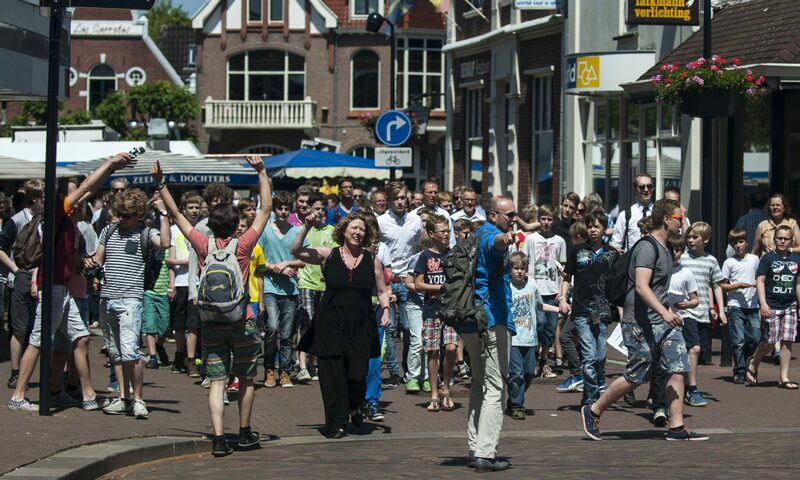 The City Boys Choir Oldenzaal (The Netherlands) celebrated its 100th anniversary in 2015. The project Boys, keep on singing! has been organized especially for this occasion. Its aim was to draw more attention to the development of boys’ choirs and to boys’ and young men’s voices. This songbook focuses on the development of boys’ choirs and boys’ voices. It contains repertoire especially written for boys of different ages and of different levels. The songbook contains worldly repertoire only and has an international flavour, so that the songs can be sung all around the world. We have asked Dutch and Flemish composers to write new songs for each of the categories. Not only did we ask them to bear in mind the ambitus of the relevant age groups and their musical development, but also to use typical boy topics such as humour, animals and nature, and to include themes young men are interested in, such as friendship, drinking and awakening love. In order to challenge composers to give special attention to the qualities and limitations of the young male choir, we organized a composition contest. The award winning composition by Wilfred Reneman has been included in this songbook. Next to that, various experts have made suggestions for songs to be included in this anthology. All this has led to a songbook with 33 songs, 11 of which are brand new. This collection of songs focuses on the development of boys’ choirs and boys’ voices. It contains repertoire especially written for boys of different ages and of different levels. Much attention is given to themes linked to a boy’s perception of the world. Also, the typical development of the male voice has been taken into consideration, since it is so different from that of girls. The songbook contains worldly repertoire only and has an international flavour, so that the songs can be sung all around the world. The editors wish all boys, young men and conductors great pleasure in performing these songs for boys: Boys, keep on singing!